China is preparing a fresh investment push into central and eastern Europe, promising more than $10 billion in loans for energy and infrastructure projects to be discussed in Belgrade this week. Prime Minister Li Keqiang arrives in Belgrade late on Monday for a four-day visit and will meet leaders of 16 European countries, all hoping to attract funding. The focus will be on the Balkans. “The Balkans is a very interesting region (for China),” said Kalman Kalotay, an economist for the United Nations Conference on Trade and Development (UNCTAD) in Geneva. “It is a gateway to the European Union but not yet in the EU and the EU rules don’t apply,” he said. Investments in the region so far have offered double benefits for China: they are financed with loans from China’s state-owned banks and Chinese companies are invariably picked to carry out the works. But as debt levels across the region grow, some countries say they will be looking for alternatives. “Serbia will try to agree some other way of financing, for example concessions,” Deputy Prime Minister Zorana Mihajlovic told B92 television on Sunday. China’s Prime Minister Keqiang told Croatia’s Jutarnji List on Monday the focus was infrastructure and energy development. Projects “like the Stanari thermal powerplant in Bosnia, Mihajlo Pupin bridge in Belgrade, Bar-Boljare motorway in Montenegro and Budapest-Belgrade railway, will certainly promote local development and benefit the local population,” Keqiang said. Neighbouring Bosnia has agreed projects worth a total 1.4 billion euros to be financed by China. Montenegro, another former Yugoslav republic, chose a Chinese company to build an 800-million-euro stretch of a motorway linking it with its northern neighbour Serbia. Two Chinese companies are among the top bidders to build a coal powerplant in Montenegro. “We feel we have a powerful and reliable partner in China,” Serbian Prime Minister Aleksandar Vucic wrote in an article for the Tanjug news agency on Sunday. 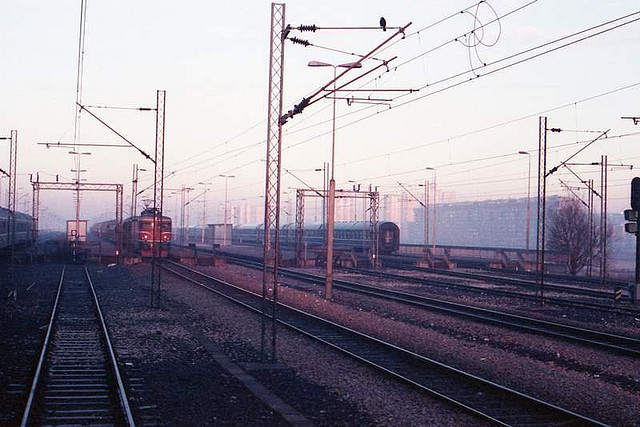 One major project expected to be ratified at the meeting is a 2 billion euro fast rail track between Belgrade and Hungary’s capital Budapest, which would help China boost trade with Europe. The CEE Bankwatch Network has published a press release, noting that most coal plants that the Chinese want to invest in across the Balkans have serious issues related to environmental permitting, pollution standards, tender procedures, etc. Claudia Ciobanu of CEE Bankwatch told EURACTIV that it's worth looking better at how these projects look before celebrating their growth potential, especially now that we have the Sostanj debacle to prove what can go wrong. “The latest revelations show that it's time to stop treating the lignite sector as a holy cow which will save our economies”, said Igor Kalaba of Center for Environment. “When subjected to closer analysis, it is revealed that lignite is no longer a driver of our economy but a drain on it. The last thing we need is another case like the Sostanj plant in Slovenia which is predicted to lose EUR 70-80 million annually and is only employing a fraction of the people predicted”, he added.